19th century sermons, to be sure, are not always pleasure reading. Compared to our modern tolerance of sermon length and substance, our forebears preached long sermons with often dense and complicated arguments. The opening of the Assize Court was also not a Royal Wedding. It’s content would naturally address the connection of law and religion and the congregation would not be made up of wool spinners from Norfolk. Yet this sermon, entitled National Apostasy, is unexpectedly good. Once you get through the dense beginning and understand the building argument, it not only speaks clearly to the times in 1833 but it has a remarkable resonance in 2018. Keble found this act by the Whig government an affront on the rights of the Church. Even if the Church of England is the Established Church, members of Parliament, who may or may not share the Christian faith, have no business deciding how many bishops the Church needs. Rather than being the act of a rogue government ignoring the will of the people, Keble recognized it was the indifference and apathy of the people to allow such legislation to be debated. Like Samuel’s Israel, we prefer the lure to live in prosperity and so-called freedom like other non-Christian nations. Nations, and by-extension individuals, find justification for throwing off the yoke of Christ and the demands of discipleship. We look to threats outside and threats within to abandon godly principles (sound familiar?). We then blame government or religion for our ills and never ourselves. We rationalize and excuse every decision and act. We become so tolerant that we believe nothing and we persecute those who believe in the name of inclusion (oh my goodness!). This rebellion moves from individuals to public officials. The officials begin to attack Christ by attacking His Church, beginning with apostolic authority – bishops. This attack will come in the name of popularity and expediency; see the words I highlighted in the Church Temporalities Act above. Keble calls the Church to follow the example of Samuel through constant intercession, which then gives grounding and strength to protest. Christians should continue to glorify God in their daily lives and routines and should not be so consumed with the concerns of the day that they neglect ordinary duties, especially prayer and devotion. This is an important point he makes. While we may not live to see wrongs righted, we are on the right and, ultimately, victorious side. Every one of his points deserves further reflection and exposition, but is this not the climate of 2018? The Catholic Revival in the Church of England had nothing to do with gin, lace, and backbiting, as is often caricatured. Yes, elaborate ritual and church building followed in the next generation, but this was a logical development of the belief that the Church is not the same as the Post Office. The Holy Eucharist is the source and summit of our lives and not the same as chicken tetrazzini at the weekly Rotary Club. The development of ritual and devotion was the servant, the handmaid, to the truths Keble turned our minds to 185 years ago. 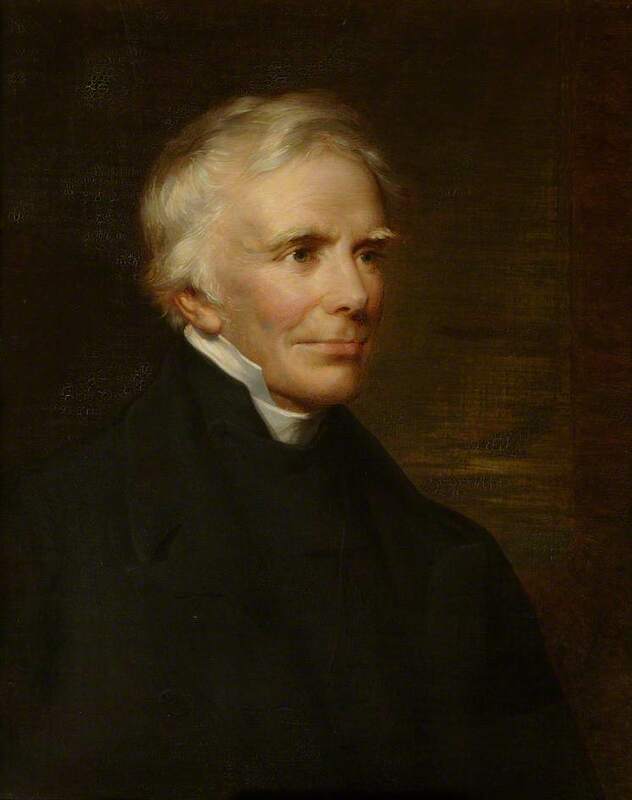 Anglo-Catholics need to remember this sermon and why John Keble delivered it. Anglo-Catholics need to preach and live it. b. The judgment of nations in the Old Testament is analogous with the judgment of individual Christian souls, which God will ultimately reward or punish. c. In the past it was quoted constantly, even ‘at random’ for any personal or societal ill, now it seems to have no authority in the hearts of men, however clear the Old Testament might be. a. Samuel was “the truest of patriots” whose example perplexes those who would suggest or act as if a nation (especially a Christian one) could prosper without God and His Church. iii. Samuel silenced this behavior with the reminder that the issue is motivation and purpose and not argument. 1. We are responsible for our motives and purposes in dealing with Christ’s Holy Church. 3. Shameful public conduct among officials (those bound by voluntary oaths). a. Disrespect of Christ will begin with disrespect to the Successors of the Apostles (bishops). c. The attack will address cult (Saul took it upon himself to sacrifice) and order (Saul persecuted David, God’s chosen). i. Constant fidelity and intercession for the nation and her people. 2. The Church should be constant in intercession and it is only by constantly praying for the leaders and people that they will be spared from hate and despair. 3. Only through prayer can the church protest (remonstrance), which is the duty of every Christian with the Church is under attack. a. Samuel rebuked Saul, yet when he had to remove himself from Saul’s presence until his death, he mourned (I Samuel 15.35). 1. Christians should uphold the Church by faithfully executing their duties with trust and fidelity, lest they discredit the cause, even in the most menial task. a. It will be unlikely to see the victory in this life and there may be very few to sympathize with Christ’s call. b. In the end, the Christian will be on the victorious side and that victory will be eternal. [i] Assize Courts were periodic sessions of the High Court of Justice and find their origins in the Magna Carta. They were abolished in 1971.